By Helena Petrovna Blavatsky (1831 - 1891), edited by Clara M. Codd (1876 - 1971). 296 Pages | First simplified Adyar edition, seventh reprint 2007 | Soft cover | The Theosophical Publishing House, Adyar. Dedicated by HPB to all her pupils that they may learn and teach in their turn. 'Theosophy' may sound outlandisch to many people. Is it some abstruse philosophy? Is it other-worldly? In this book such misapprehensions are dispelled by H.P. Blavatsky, one of the Founders of the Theosophical Society. She anticipates every likely question, and answers it forthrightly, vigorously and brilliantly. 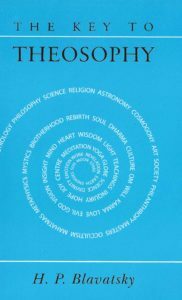 Theosophy is no armchair philosophy, but a do-it-yourself guide to sane living. Here we find no moralizing, but a stirring call to take charge of our own life and bow to no authority from outside. Theosophy is not other-worldly, but totally geared to the here and now. It offers nothing dull, but is a testament of joy, hope and fearlessness.
" Are They Spirits of Light or Goblins Damn'd? Enquirer - Who are then, those whom you call your 'Masters'? Some say they are spirits, or some other kind of supernatural beings, whole others call them 'myths'. Theosophist - They are neither. But if you listen to what people say, you will never have a true conception of them. In the first place they are living men, born as we are born and doomed to die as every other mortal. Enquirer - But what does the word 'Mahatma' really mean? 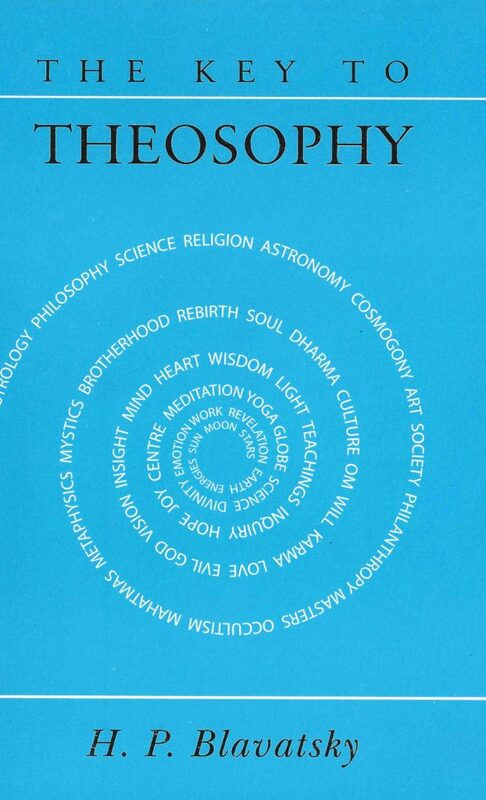 Theosophist - Simply 'great Soul'- great through moral elevation and intellectual attainment. [...] The term is Indian and a very old word. Enquirer - And why do you call them 'Masters'? Theosophist - We call them 'Masters' because they are our teachers; and because from them we have derived all Theosophical 'Truths', however inadequately some of us may have expressed, and others understood them. They are (wo)men of great learning, and still greater holiness of life, whom we term Initiates. " auteur: Blavatsky, H.P., ed. by Codd, C.M.